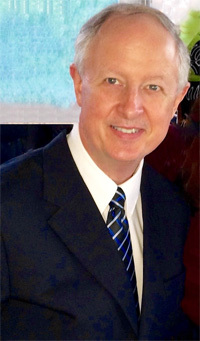 Our founder and product developer, Dr. Eric N. Rydland, M.D., D.A.B.P., after years of using herbal tinctures in his medical practice and hearing the frustrations of families in dealing with measurements and their bitter tastes, realized the need of new herbal formulations. For two years he worked on combining herbs in specific ratios to effect not just the control of symptoms, but also to support tissues, allowing them to heal naturally. In technical terms this means he balanced the therapeutic and tonic principles of the herbs, properly combined together for synergy. Dr. Rydland wanted his formulas to be pleasant tasting, without sugar, artificial sweeteners, preservatives or any artificial ingredients. He elected to use only palm glycerin (a non-allergenic natural sweetener) to flavor the tinctures. He insisted that the herbs be ethically wild crafted (the very best naturally-grown herbs) where available or certified organic. The proprietary process we use in preparing our formulas is time consuming, meticulous and expensive, but this is why Dr. Rydland’s formulas are potent, safe and consistently effective in treating common ailments. This is also why they are not just the most effective herbal products on the market for children, but are equally as effective for adults! Research and experience both show that liquid herbal formulas enter the bloodstream in minutes. This means that they begin to work much faster than either capsules or tablets. They don’t need to be digested, are completely bioavailable and have full potency! This is why adults like them for themselves and for their family. Herbs are combined together in one bottle with appropriate doses clearly listed on the label for all ages, infant through adult, according to body weight. We minimize our footprint on earth by harvesting sustainably, minimally processing, recycling waste. Packaged in dark cobalt blue glass bottles with glass droppers to retain their potency and protect the herbs from chemicals found in plastics or other types of containers. KidsWellnessTM Formulas are 100% natural, free of fillers, additives and chemicals. KidsWellnessTM Formulas are gluten, dairy and soy free and do not contain GMO ingredients. KidsWellnessTM Formulas may be given directly into the mouth or mixed in your favorite beverage (we often recommend a small amount of purple grape juice for children). The KidsWellnessTM mission is to create the most effective and natural herbal remedies available that work in harmony with your body to aid the healing process. We believe in a holistic approach to healing, incorporating whole foods, avoidance of environmental toxins and trust in the body’s innate ability to heal, supplemented by remedies derived from the plants God put on this Earth. We are dedicated to continuing our search to bring you a complete line of formulas to achieve and maintain wellness.